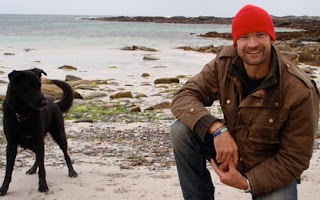 Through the useful tool that is the BBC iPlayer, we watched episode three of Monty Halls' Great Hebridean Escape last night. (The iPlayer only works in the UK). I was delighted to hear one of my favourite tunes used twice in the programme, and I suspect it will crop up again. From the utterly superb album Farrar by Duncan Chisholm the track is The Farley Bridge. I highly recommend you buy this album! If you're not sure, you can listen to the track and more on Duncan's MySpace page. And see if you can catch Duncan live (we missed him - arrgh!) He is currently touring the UK and then heading to Denmark with Ivan Drever.